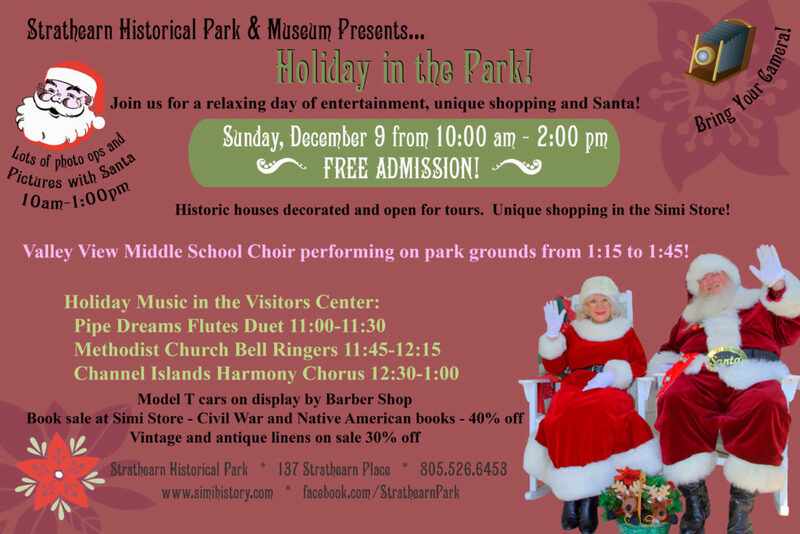 Join us for a Heritage Holiday in the Park! 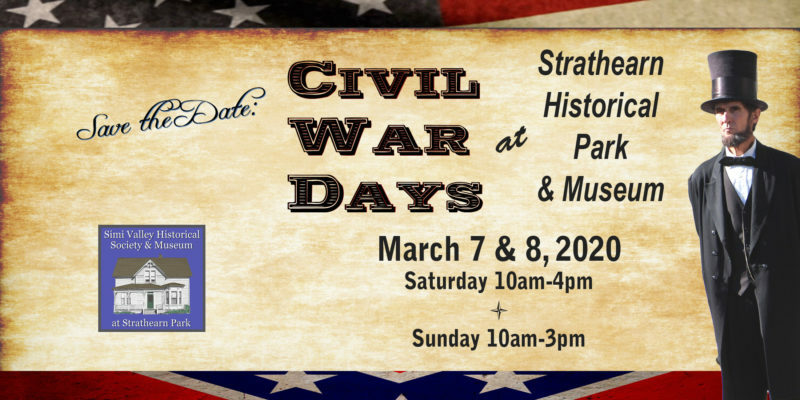 A free family holiday event is scheduled on Sunday, Dec. 9th from 10am – 2 pm at Strathearn Historical Park & Museum in Simi Valley. 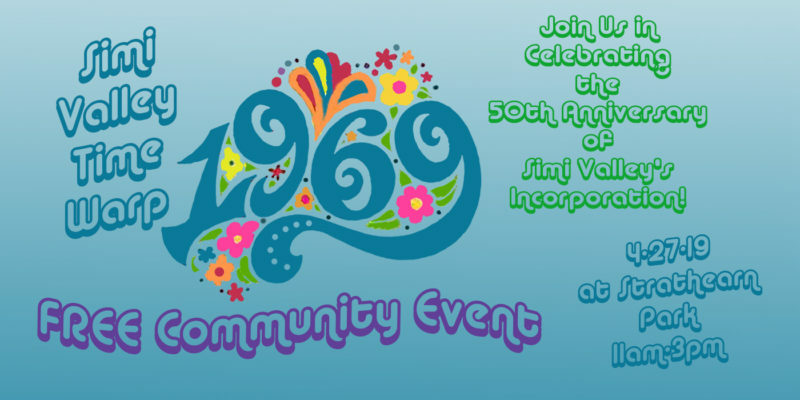 This relaxing event includes musical entertainment, photo-ops and conversations with Santa and Mrs. Claus plus self-paced tours of the decorated historical buildings. Guests are encouraged to bring cameras for holiday pictures with Santa or around the decorated buildings.